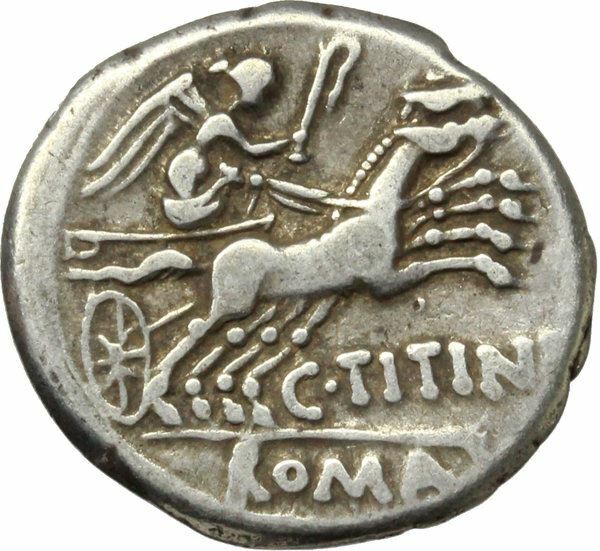 C. Titinius was one of the moneyers for the year 141 BC. He is not otherwise known. Gens Titinia was a plebian gens . No mention is made of it until the decemviri period, but it never became an important gens, and none of its members reached the consulate.